The mighty Stanford Cardinal is simply not as mighty as previously believed. The Nation’s #7 team got exposed on Friday night, falling to the Huskies 44-6. It was never close, as UW was up 23-0 at Halftime, and cruised to an easy victory. 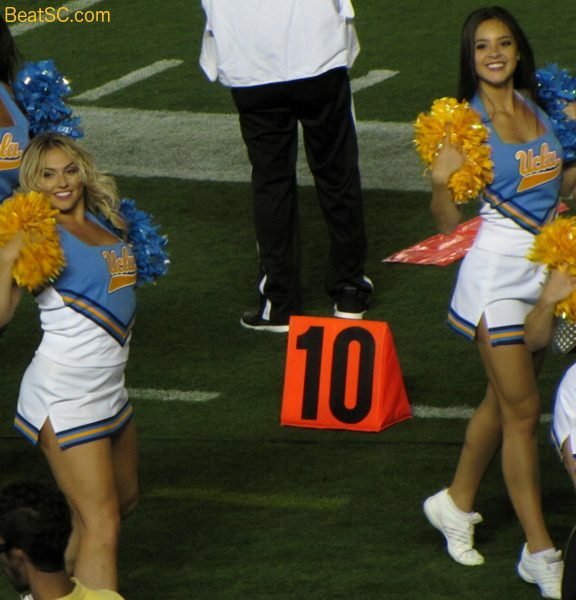 Last week, UCLA was excited because they held former Heisman candidate Christian McCaffrey to a fairly low yardage total. But Washington completely shut him down, as well as the rest of his teammates. Washington tallied SIX SACKS in the First Half alone, as they completely dominated every facet of the game. 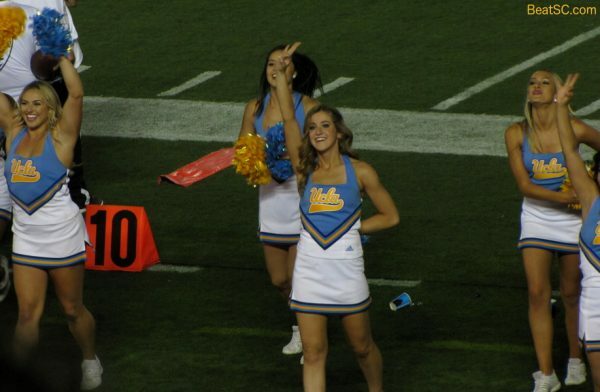 UCLA can no longer take any pride out of “competing” with Stanford for 59 minutes. The Bruins will have to dominate Arizona on Saturday if they want to give themselves confidence moving forward. Speaking of confidence, here are 53 more photos, MOSTLY of the confident UCLA Spirit Squad. As you can see, their confidence is warranted…Click on the pics to zoom in (especially the horizontal ones), and check back soon for 54 more from last Saturday. 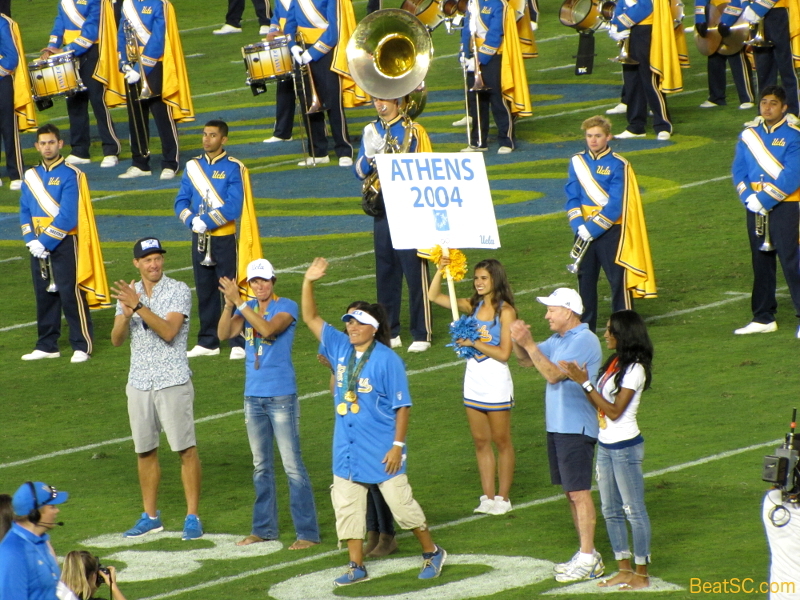 Then, check back Sunday for new pics, from the Arizona game. 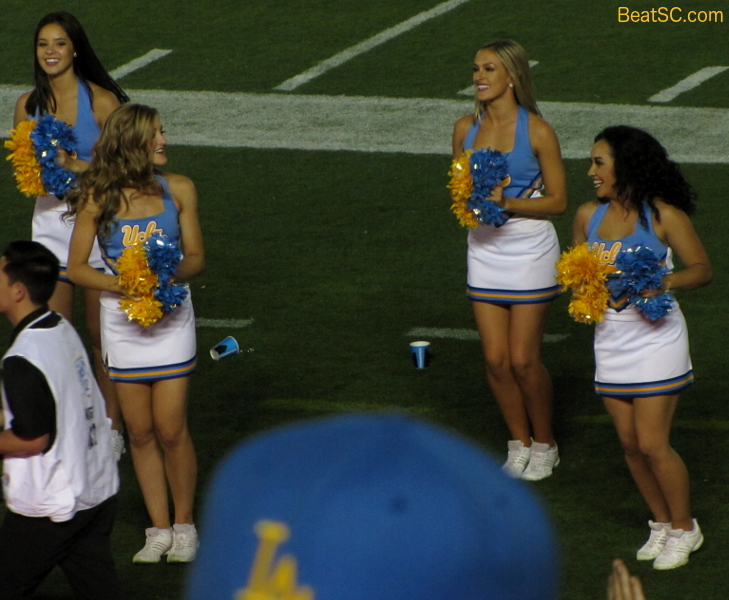 "WASHINGTON WASHES THE LUSTER OFF OF UCLA’S MORAL VICTORY AGAINST STANFORD" was published on October 1st, 2016 and is listed in Blue & Gold News, UCLA/usc/Cheerleader Photos.